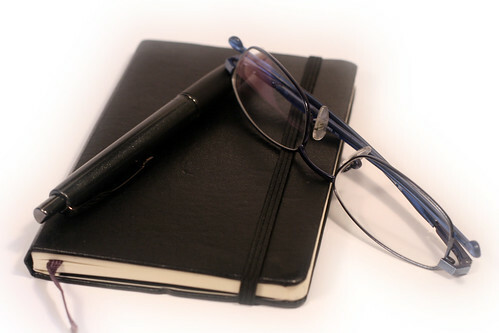 Diaries can be a wonderful organising tool, but they can also lead to confusion if not updated on a regular basis. If lost the information can usually be downloaded again. many people use a combination of paper and digital calendars these days. Digital diaries have the ability to synchronise with other people through the cloud keeping them up to date with your plans and whereabouts without continual emails or phone calls. People are able to see if you might be available by looking at your calendar. This can work well for a meeting house too – where you need to know if there is a space available at a specific time. Either through through sharing ‘live’ individual calendars – as shown by Beverly Quakers or by sharing a pdf calendar that are manually updated – as shown here by Welwyn Garden City. By sharing this information you can cut down enquiries where there isn’t availability, and can also encourage hirers to consider other times. Even with digital diary sharing trying to get everyone together for a meeting can be frustrating. Doodle Polls are a web based system that allows you to create a range of dates and times for a proposed meeting and then allow all attendees to fill in the dates they are available. Why not try it the next time you have to co-ordinate diaries and find a date to meet? All documents can be digitized, often if created on a computer it is easy to file a copy into a cloud based storage system such as Dropbox or similar. More information about that in Z is for Zipped. Another aspect of the digital age is the ability to send contract documents to hirers electronically – saving paper and postage as well as time. I mentioned the importance of having contracts in X marks the spot, the ability to share these easily with other Premises or Finance committee members is also important. A query on a user or amount owing can be answered quickly and easily by a glance at the contract rather than having to be sent to the record keeper and awaiting their reply. First I need to tell you that there are two types of computer based signatures – a digital signature is cryptographically secure, and confirms that this document has been read by a specific person who has then used their private signing key to authorize it. This is usually expensive and only common in legal and commercial systems. Instead I’m going to explain how to add a digitized signature plus text to a pdf document. Whilst this isn’t as secure as the above digital signature, it is equally secure as receiving a scanned in document with a scribbled signature. The ability to send, receive, review, sign, return and counter-sign documents all within the computer is one that I use daily. On a Mac this is very straightforward as it is done within Preview – click on the Tools menu and annotate using printed text or a scanned in signature. Don’t have a scanner? You can take a photo of your signature on a white piece of paper using your phone or a webcam, then extract the signature. Once the signature is digitized it can be saved as a png or pdf file and inserted into any document. Remember to save each document so that the signature can’t be easily extracted and used by someone else. With a PC, you will need to use one of a variety of programmes. Adobe Reader is very common and is able to do this on your computer. Open a document – if you aren’t prompted to sign the document once opened, click on the ‘sign’ button in the top right hand corner. Follow the on screen instructions to create and add a signature to the document. You can save the signature to use again. If you don’t have Adobe Reader, HelloSign is a web based programme which is free for individuals. There are also mobile apps such as SignNow or DocuSign Ink. This entry was posted in Quaker A-Z by Wendrie Heywood. Bookmark the permalink.